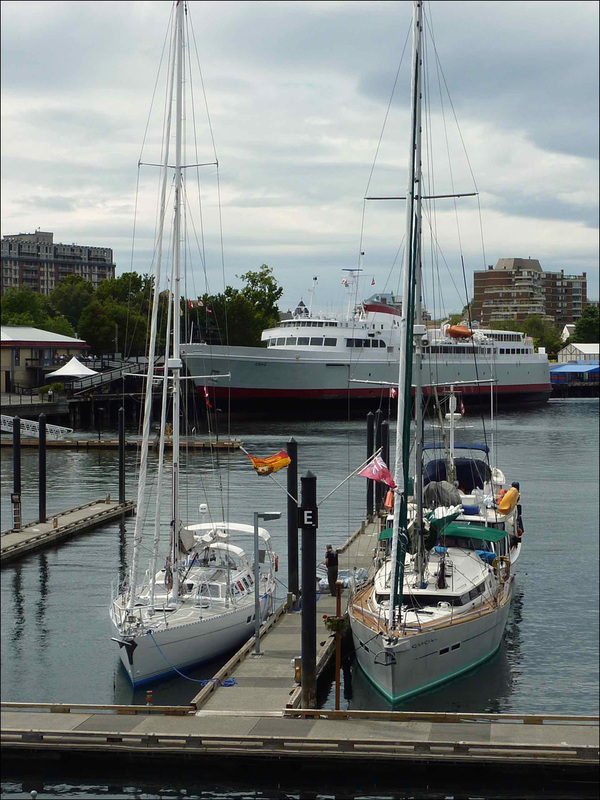 Early this Saturday morning Aventura left Victoria, British Columbia, bound for Dutch Harbor …. and the Northwest Passage. 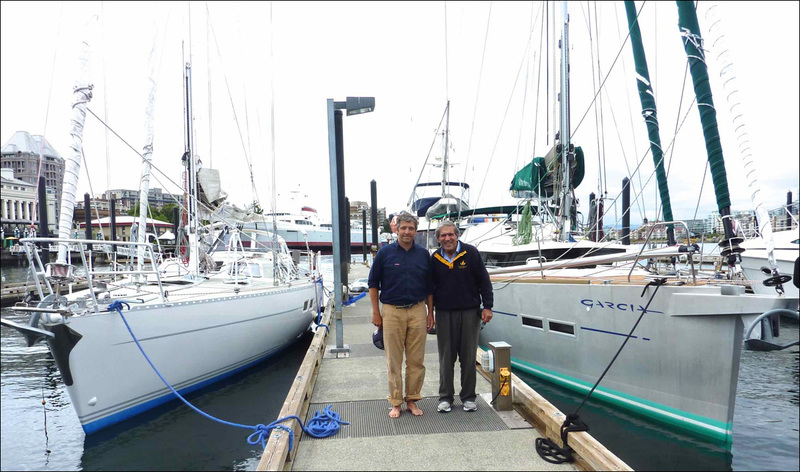 She had spent the last month in Seattle, in the care of Swiftsure Yachts, the US agents for Garcia Yachts. As part of the preparations for the transit of the Northwest Passage, we acquired a drone that will allow us to look ahead at the ice situation and also take photos of the boat. The evening before our departure Dunbar sent up Amy (after Amelia Earhart) to take a photo of the marina. 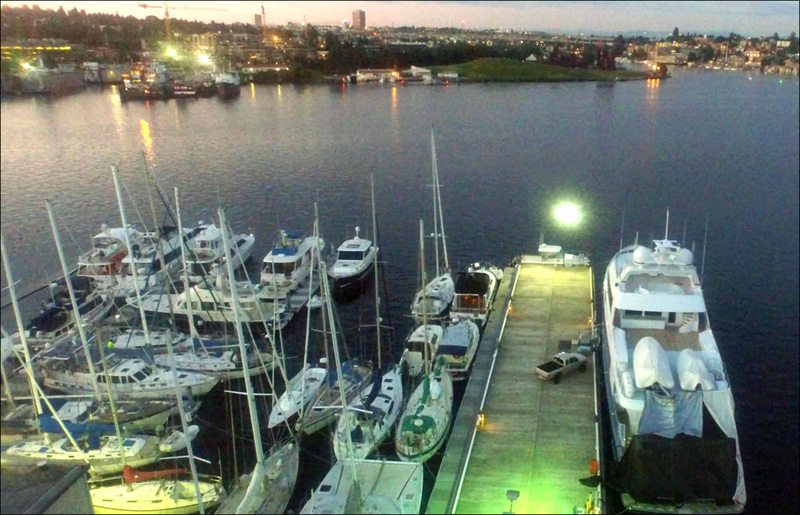 The end of our stay in Seattle coincided with summer solstice. 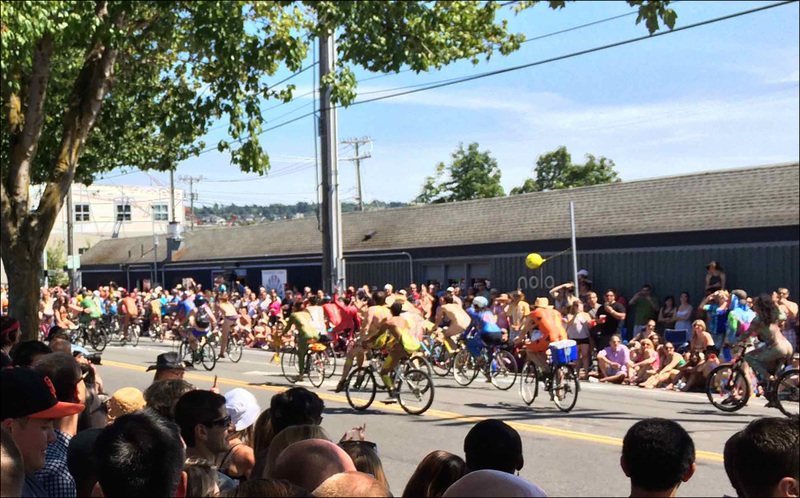 This seems to be an important local festival especially in Fremont, the oldest part of Seattle. The spirit of the 1960s seems to be alive and well here and nature lovers had a great time cycling up and down Main Street wearing only hats and sunglasses. We left Seattle before dawn to go through three opening bridges before the morning rush hour. 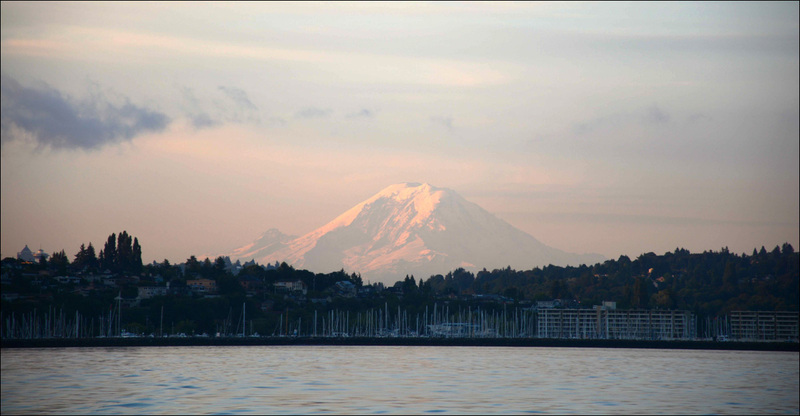 As we left Seattle sealock and entered Puget Sound, I looked back and there was the amazing sight of Mount Rainier bathed in soft pastel colours by the rising sun. 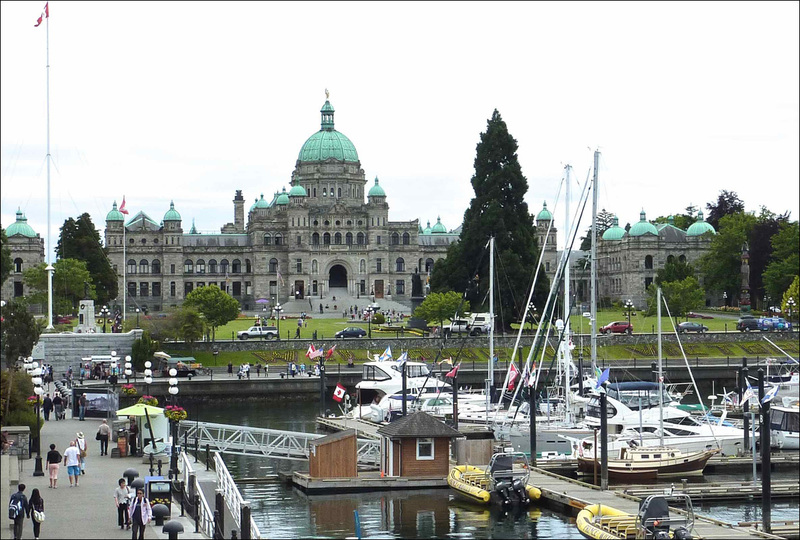 Our next stop was Victoria, in British Columbia. As we pulled to our slip in the marina, I noticed right next to us an older Garcia of about the same size as Aventura. I was almost blown off my feet when the captain called across and greeted me in Hungarian! Although born in the US, Peter Molnar’s parents are originally from Hungary from where they escaped during the Hungarian Revolution of 1956. Besides sailing, Peter’s other passion is wine, and he is the owner of the renowned Poseidon winery in Napa Valley. We toasted to our common Magyar genes with a glass of his excellent Pinot Noir. The perfect location of the marina in the centre of town in front of the old parliament building gave us a grandstand view of this attractive and lively town. 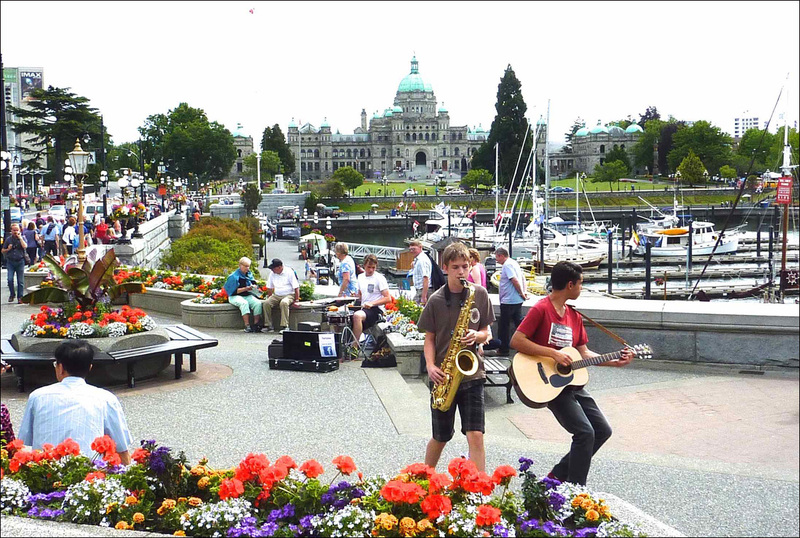 The annual jazz festival was held wile we were there, with many artists performing in the street, as was this young trio. The weather was warm and sunny, contributing to the pleasant atmosphere. 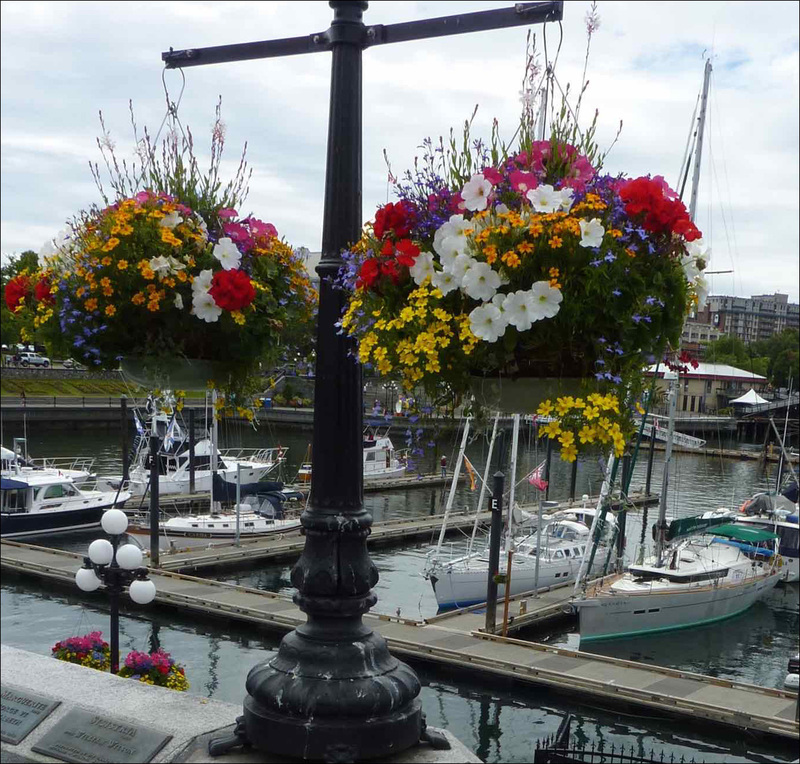 As we set off on the long passage to Dutch Harbor in the Aleutian Islands I leave you with this image of these colourful hanging flower baskets, the hallmark of Victoria.